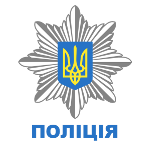 The first law enforcement agency in independent Ukraine was known as the militsiya (militia), it was under direct control of the Ministry of Internal Affairs. Ukrainian Militsiya Day was celebrated on December 20 to commemorate the creation of the militsiya in 1990. Ukrainian militsiya was widely seen as corrupt. Various governments and parties offered plans to reform the Ministry of Internal Affairs, but these plans were never implemented until the 2014 Ukrainian revolution. Following the ousting of President Viktor Yanukovych, all parties acknowledged the need for reform. As part of the reforms, a new national police service was created to replace the militsiya. On July 4, 2015, the new patrol police was launched in Ukraine’s capital of Kyiv. A month later, President Petro Poroshenko signed the law “On National Police of Ukraine” that came into force on September 2, 2015. On December 9, 2015, Petro Poroshenko abolished Militsiya Day and replaced it with National Police Day. The holiday was originally celebrated on August 4 to commemorate the signing of the law “On National Police of Ukraine”. In 2015, it was moved to July 4 to celebrate the day where the first Ukrainian policemen were sworn in. The holiday aims to honor the role of the National Police in protecting human rights and freedoms, combating crime and maintaining public order and security.